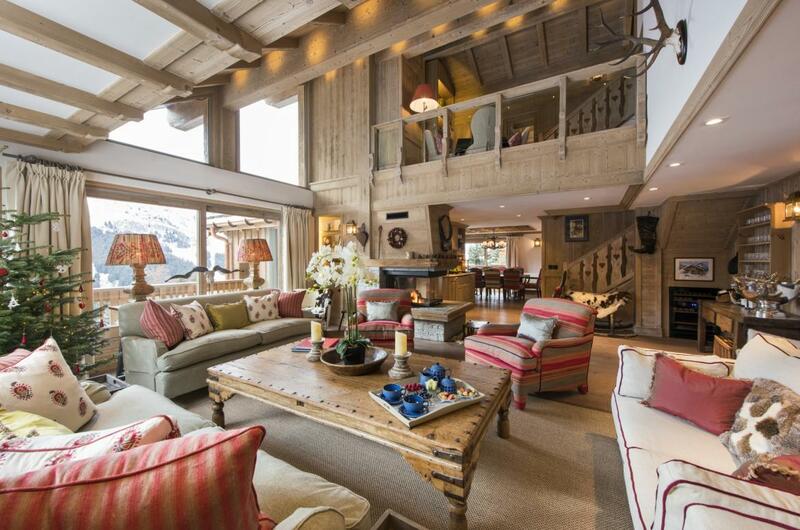 This stunning family chalet is ideally positioned in the heart of the Trois Vallees. 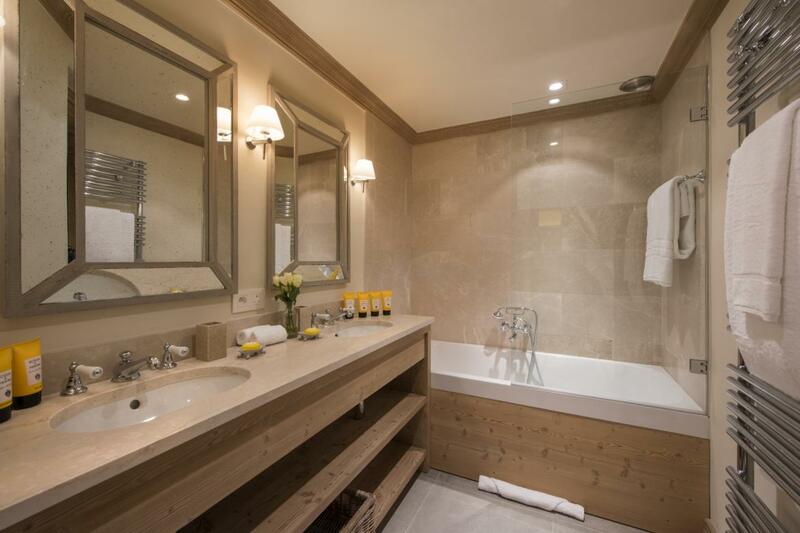 Boasting seven bedrooms, an incredible private spa and every luxury toy you could wish for. 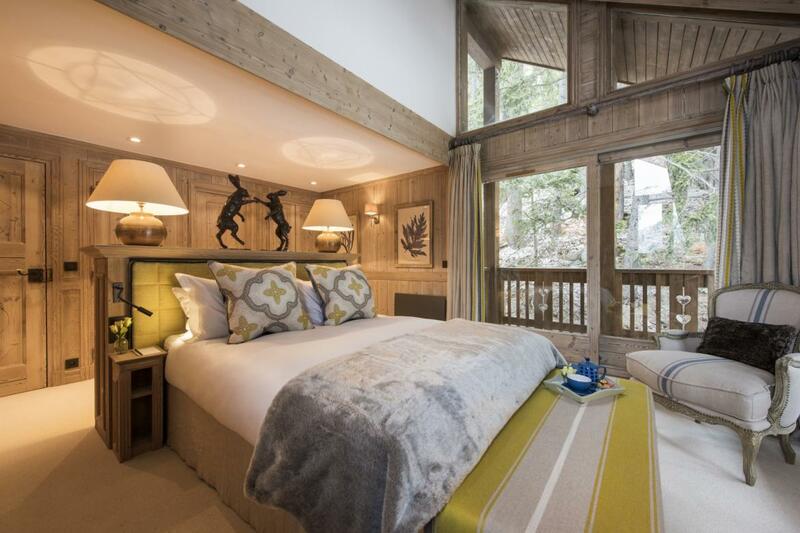 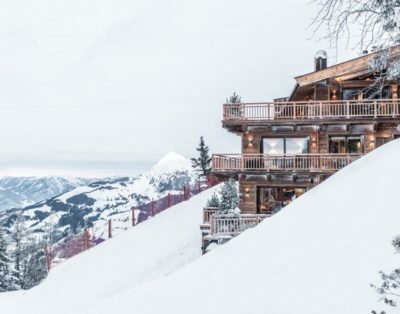 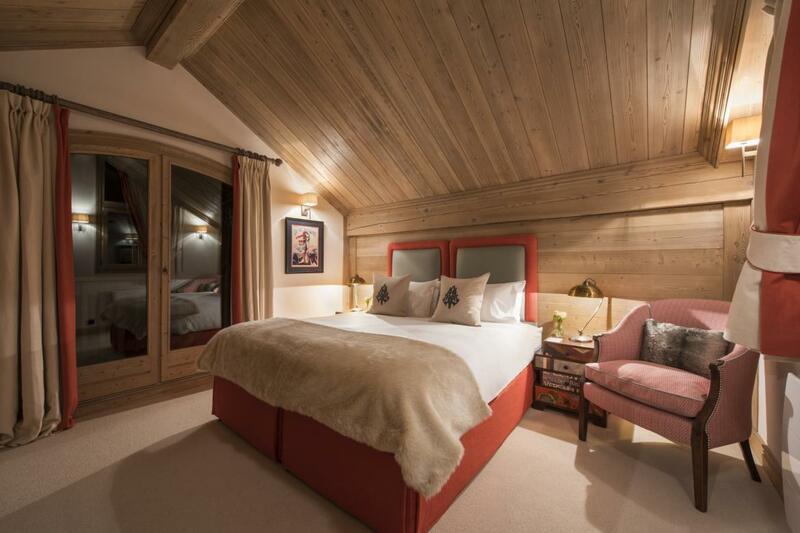 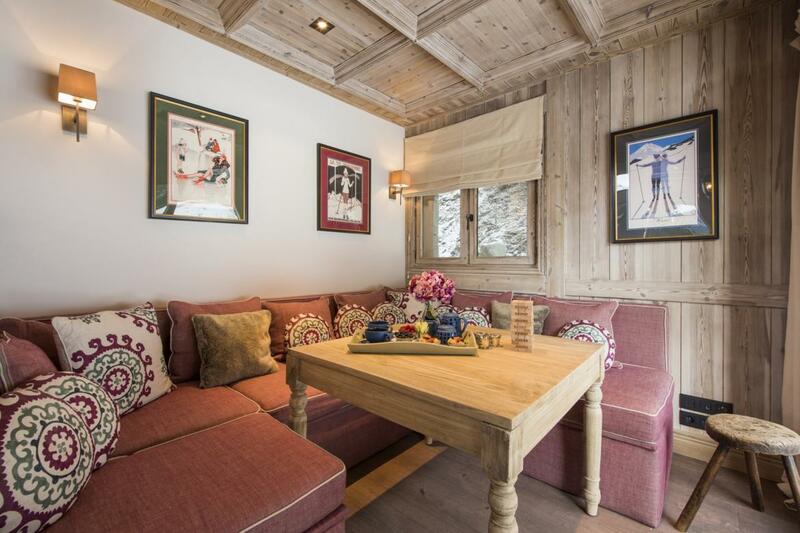 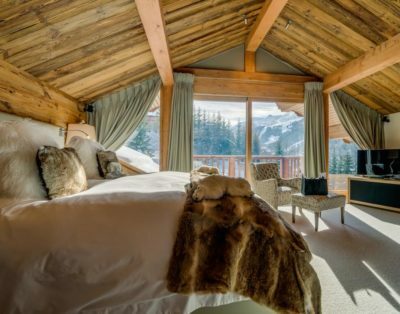 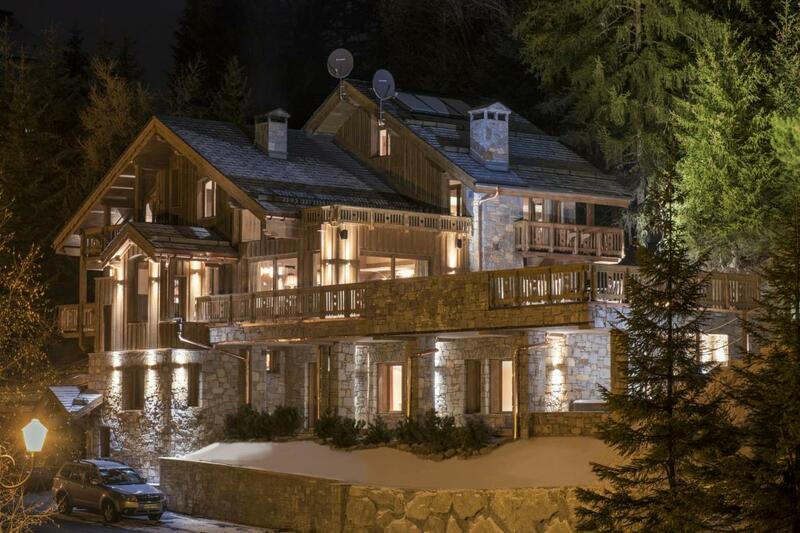 You enter the chalet on the ground floor where you will find the spacious ski room and garage. 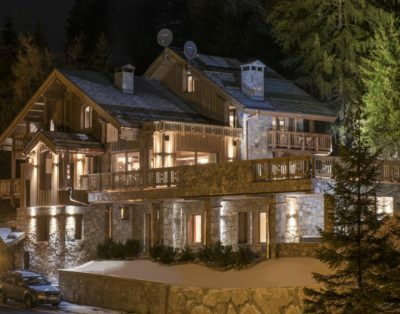 There is a lift running through the property (excluding the top floor). 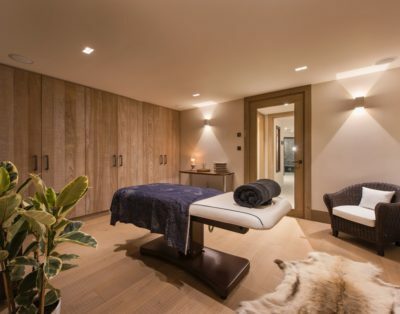 The first floor is home to the incredible private spa and wellness area. 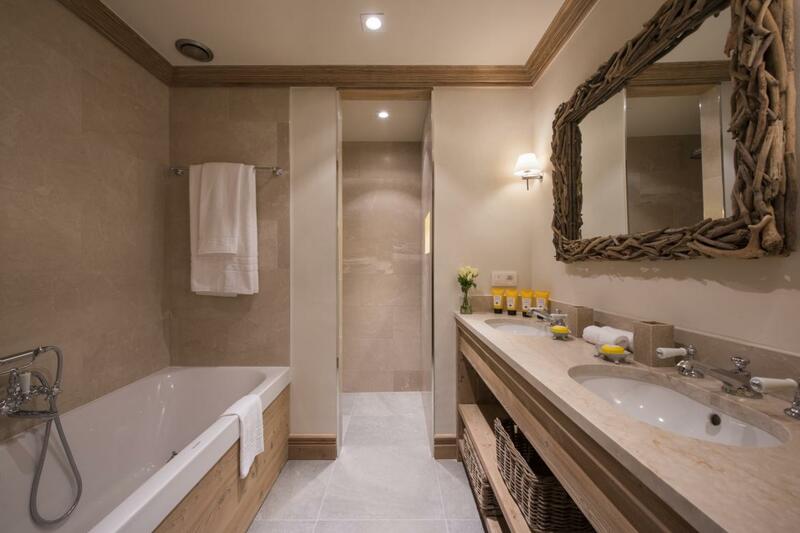 Be rest assured you will feel calm and relaxed after your stay. 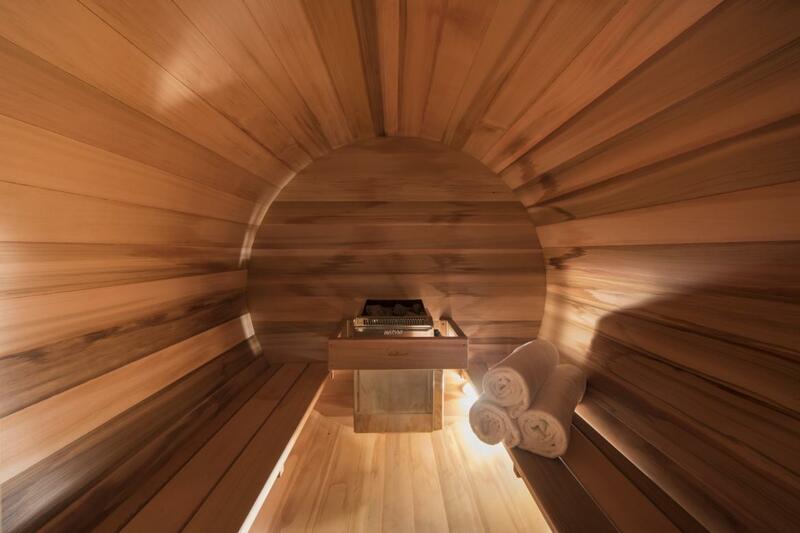 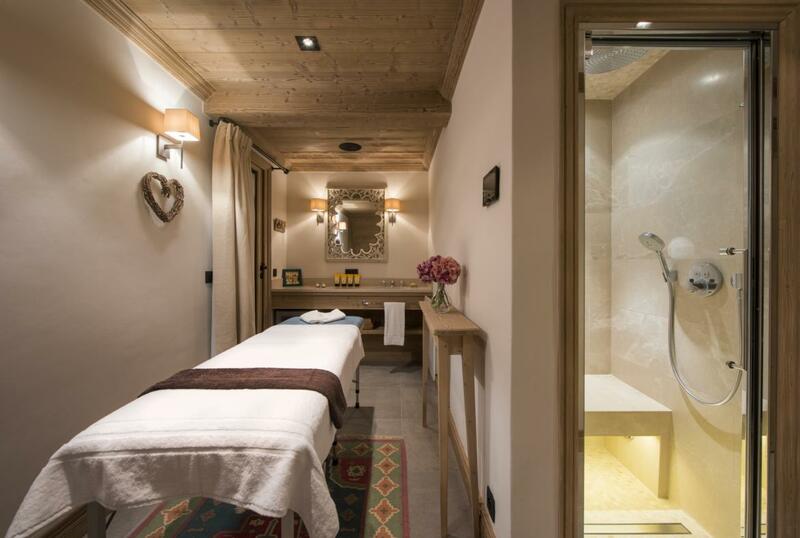 The spa has a wonderful hammam and after skiing the host can arrange a professional massage in the peace and privacy of your own treatment room. 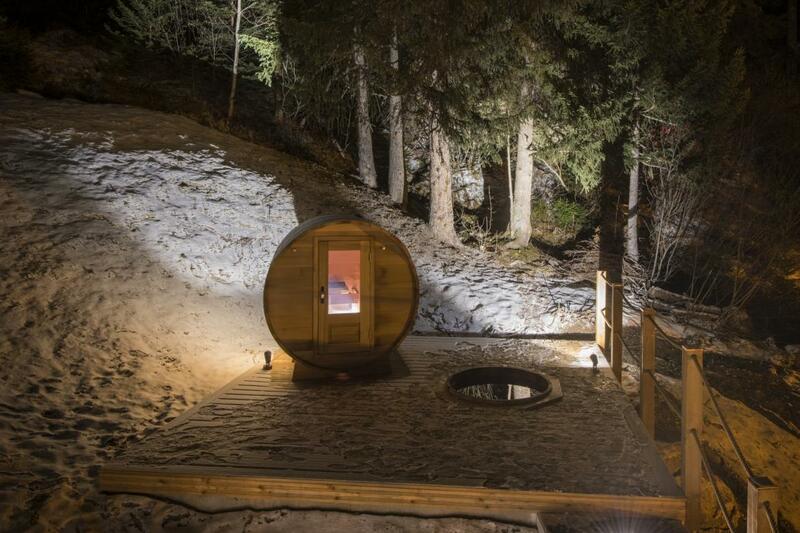 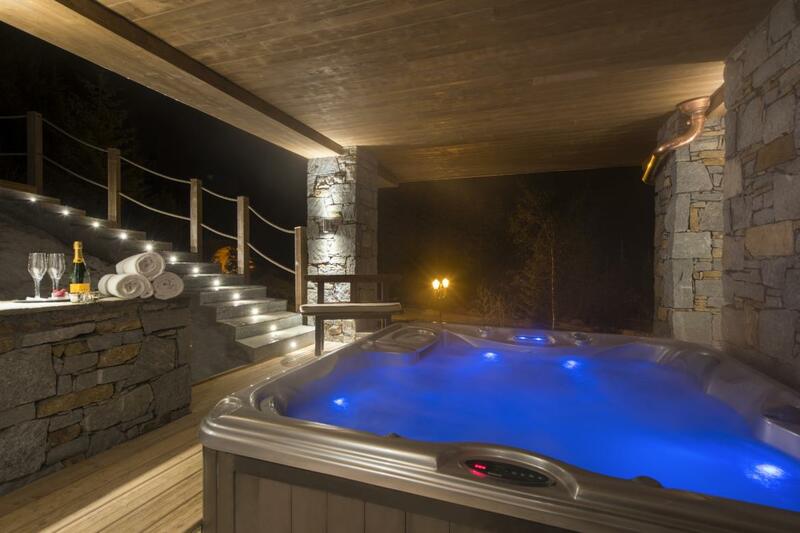 Moving outside onto the terraces there is outdoor hot tub, barrel sauna and plunge pool. 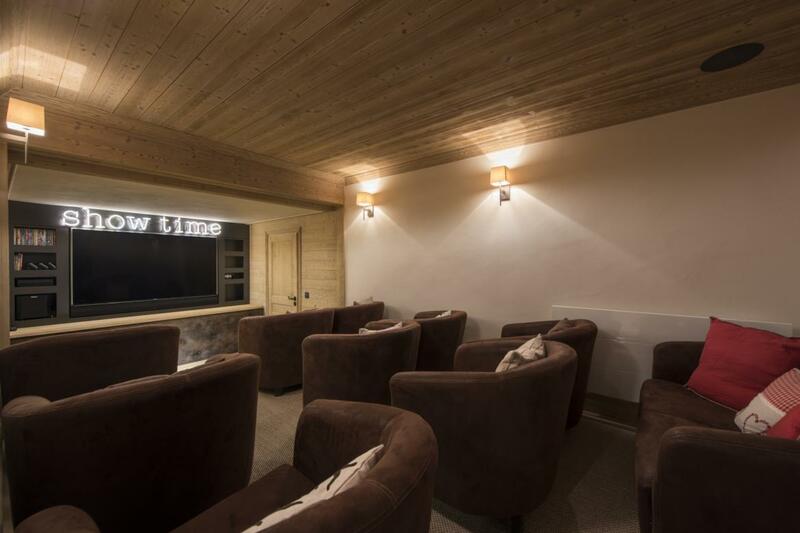 Also on this floor is the cinema room which has Apple TV, a DVD library, French, Russian and UK satellite TV. 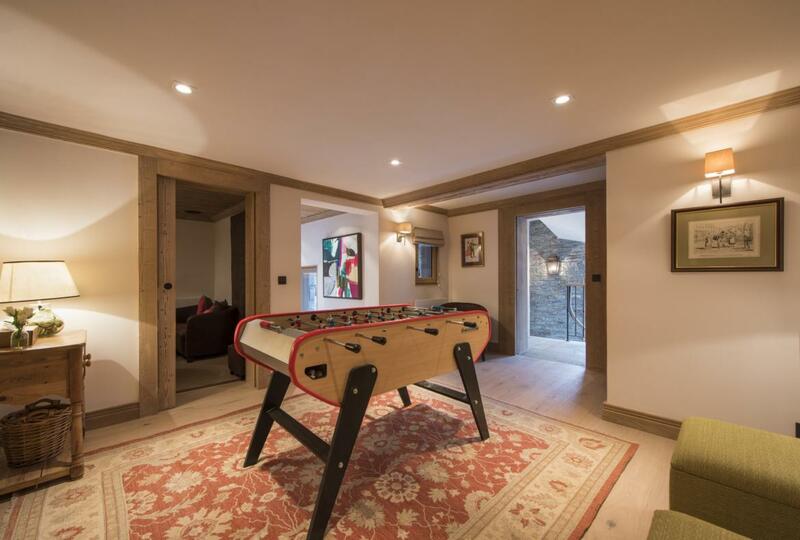 There is a games room with table football. 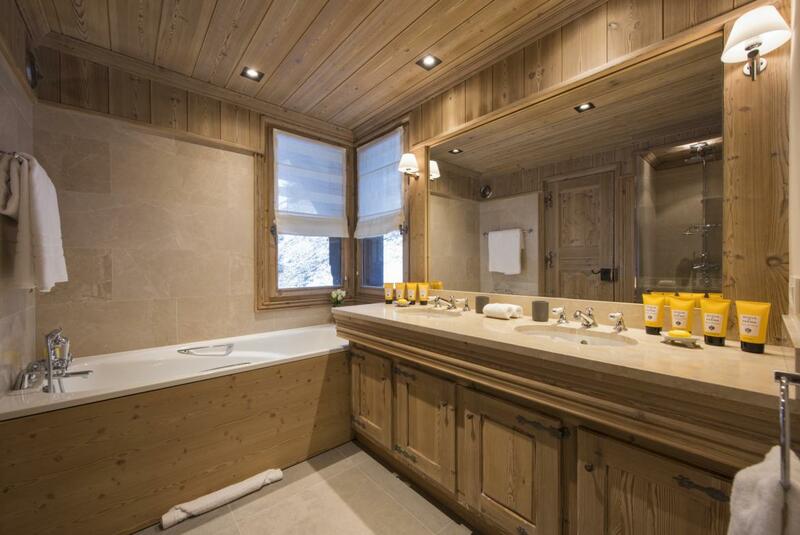 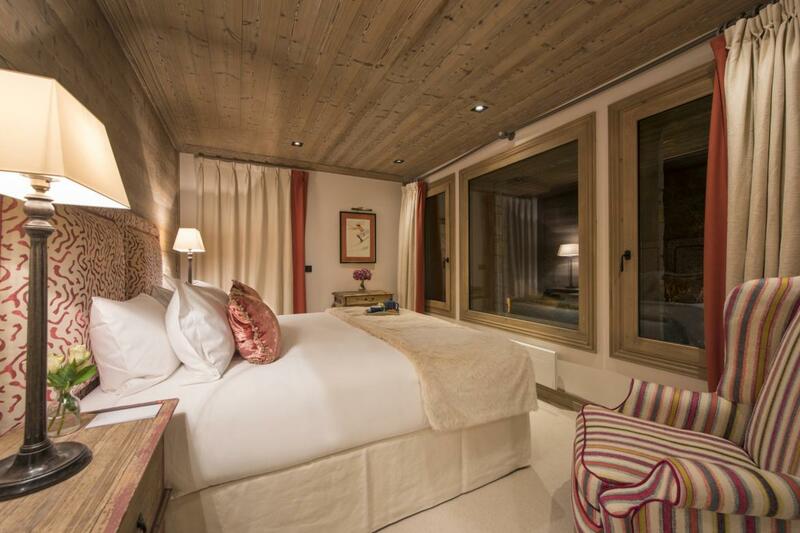 The chalet is fully wired with an integrated audio system in all the communal areas. 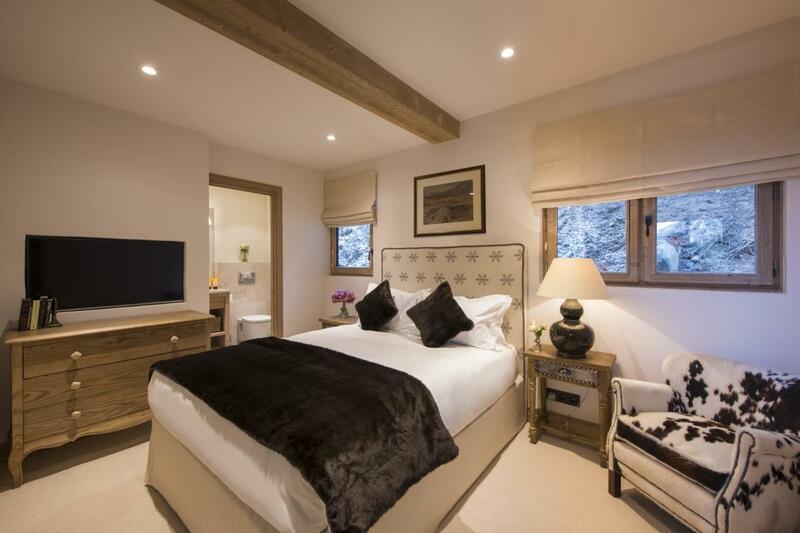 There are two twin/double bedrooms, one with an en-suite bathroom and one with an en-suite bath and separate shower room. 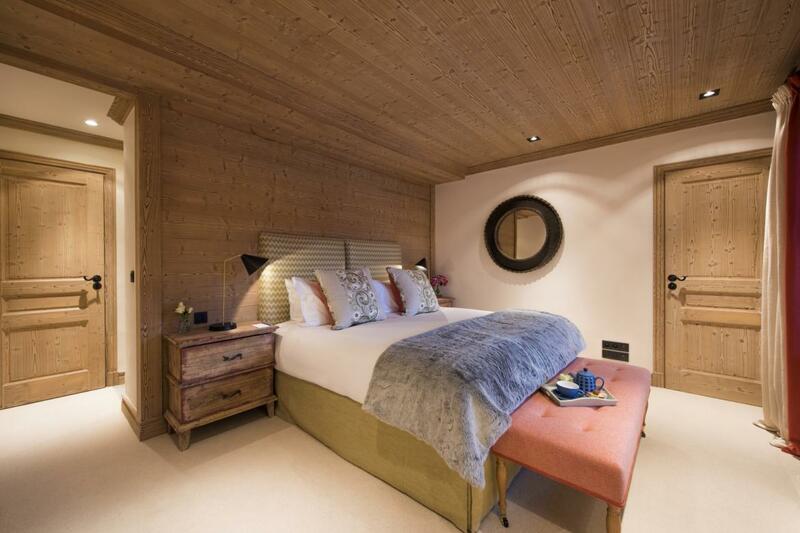 Both bedrooms have access to the spacious terrace with hot tub and stairs leading up to the barrel sauna and plunge pool. 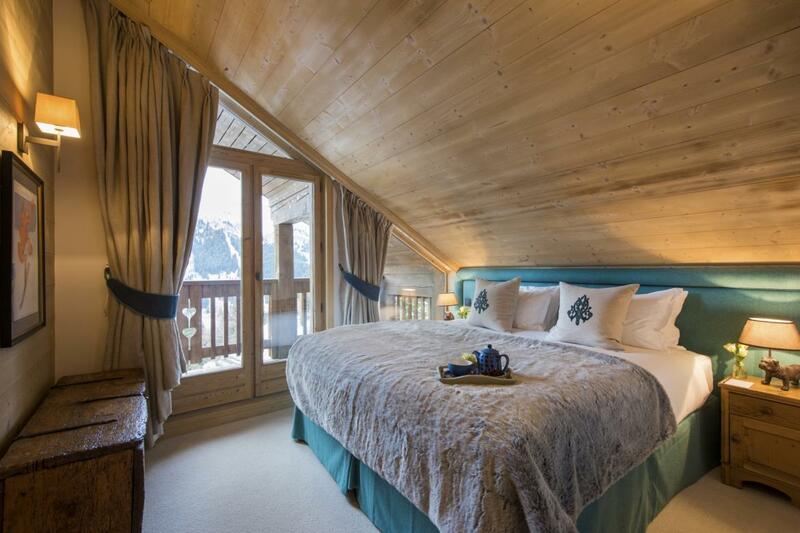 Moving upstairs to the second floor, you will find the main living and dining areas. 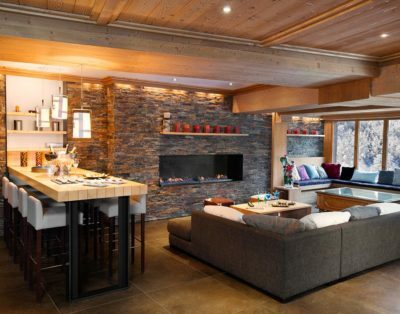 The large open plan living area has floor to ceiling windows which look out onto breathtaking views of the majestic mountains in the distance. 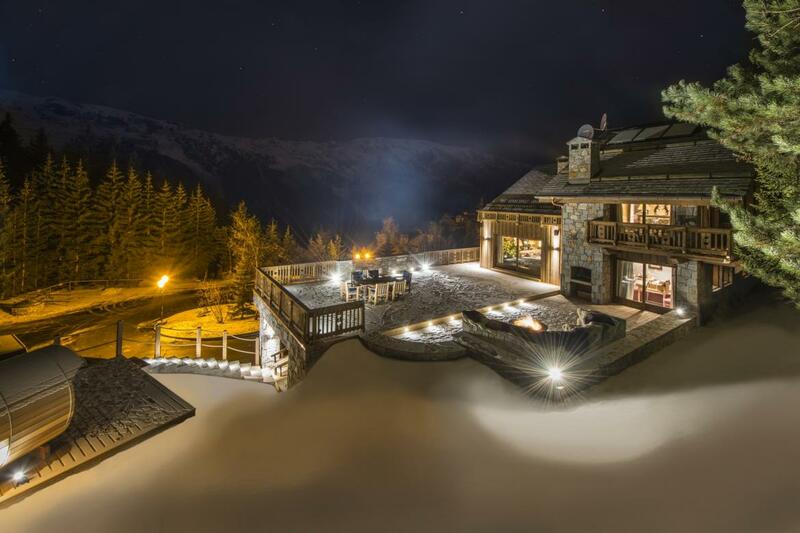 Outside on the spacious terrace there is a fire pit, perfect for enjoying toasted marshmallows and mugs of hot chocolate after skiing. 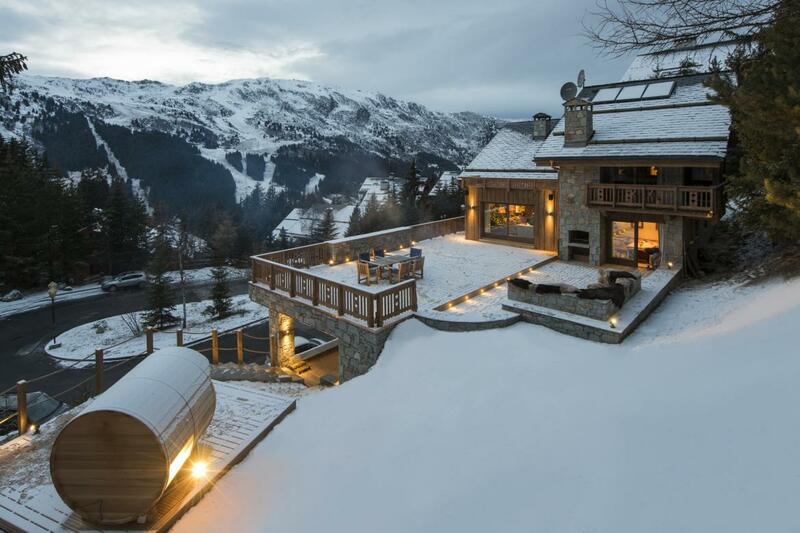 In the warmer, spring months watch the sunset in the early evening with a glass of champagne. 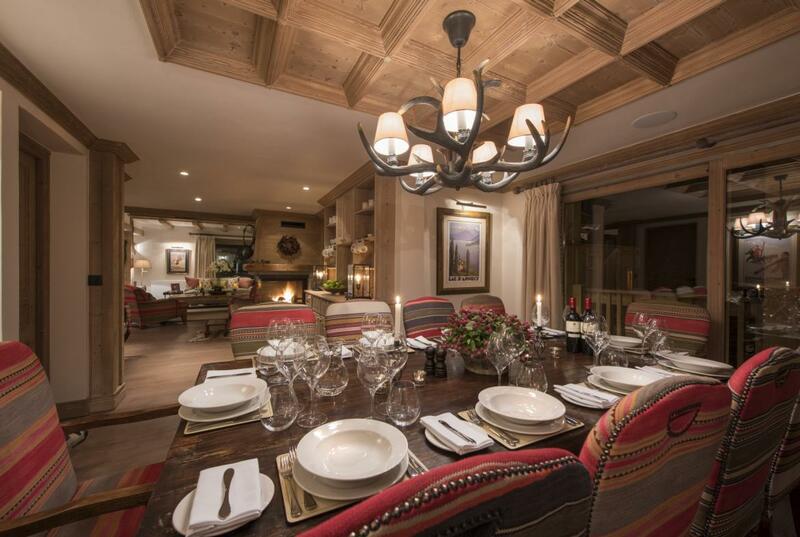 The kitchen is next to the dining area and is closed off to ensure maximum privacy for the guests. 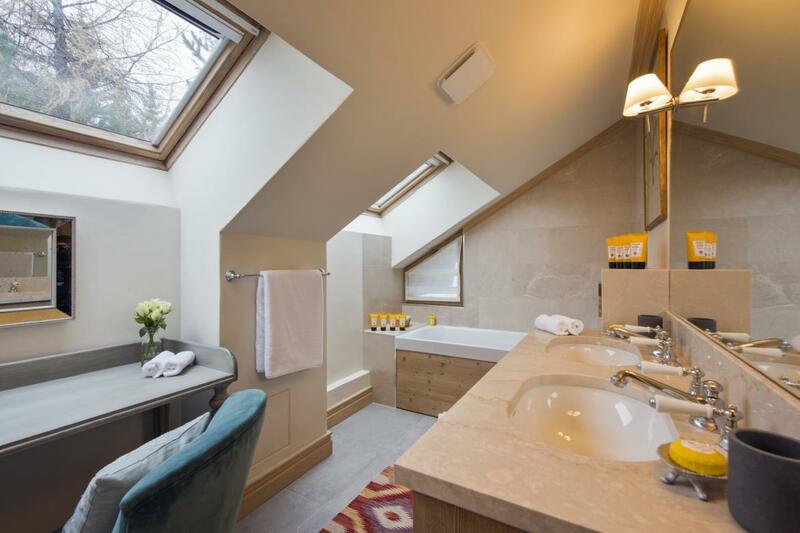 There is also a double bedroom on with en-suite shower room on this floor. 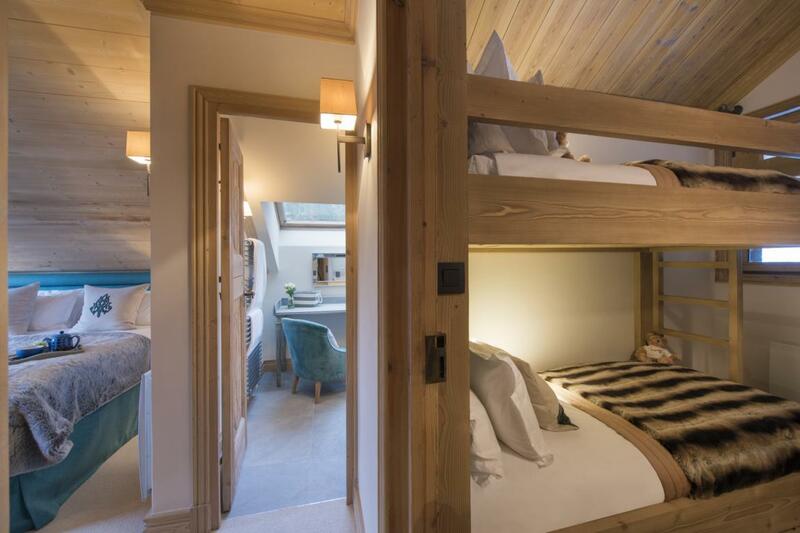 The third floor has a wonderful family suite with one twin/double bedroom and one bunk bedroom which both share an en-suite bathroom. 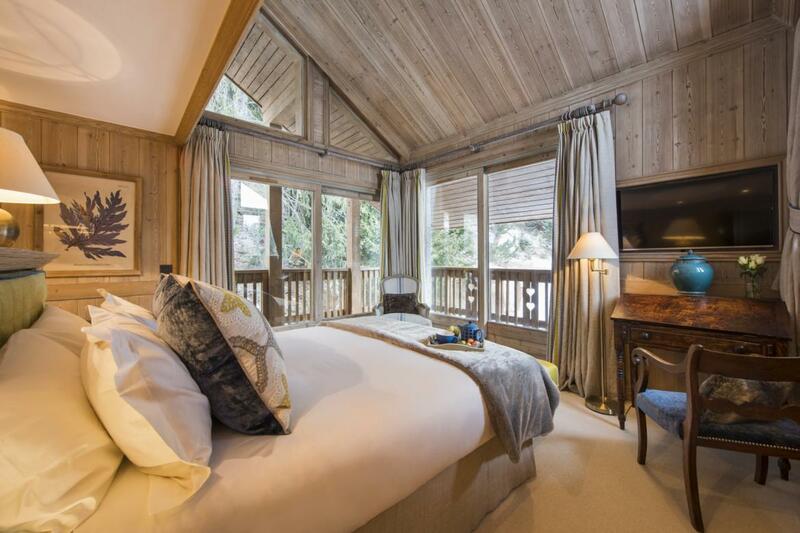 This is also where the master bedroom is, with en-suite bathroom, private balcony and TV. 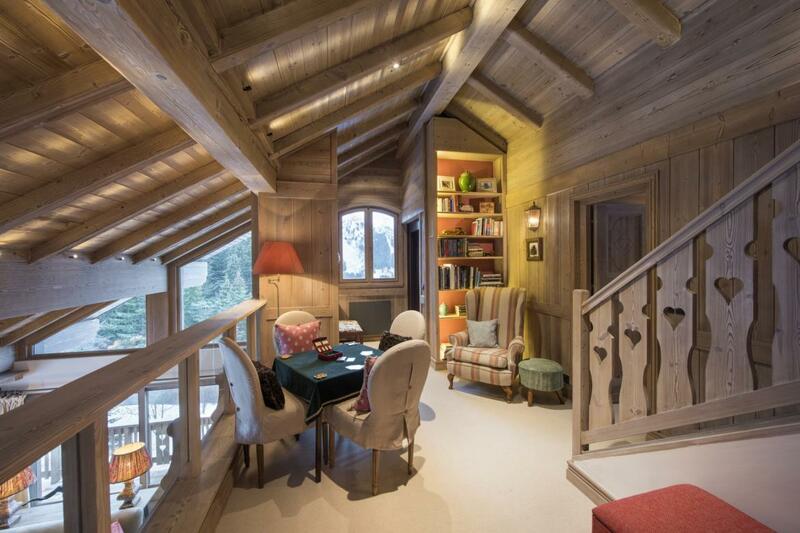 An open plan mezzanine with library looks over the main living floor.